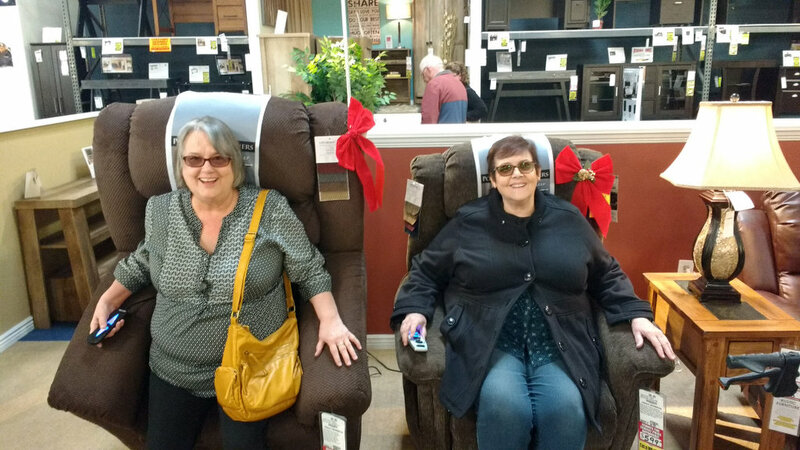 Glenna’s sisters trying out chairs for her. The recliner they got her was actually one of her greatest comforts in those final months. The lung center clinic Glenna went to is world-renown. Her oncologist is involved in cutting edge research on lung cancer. He has had great success in significantly extending the life of many of his patients and was very optimistic about the chances of extending Glenna’s life. She began taking a “miracle drug” called Tarceva. (If you’ve read Paul Kalanithi’s book When Breath Becomes Air, it’s the same drug that he took.) It’s a drug that is tailored to certain genetic markers and has had an 80% success rate in those that took it. She was on a full dose of the drug for two months. Every time she went in for an appointment the doctors were pleased to see that the tumors in her lungs were shrinking, but we were disheartened because in spite of that, her overall health was declining. She was hospitalized two more times – once right before Thanksgiving and once right after Christmas. She was plagued by stomach troubles, sores on her skin and in her mouth, and bladder infections that were barely touched by antibiotics. She went from being able to go on short excursions with a walker to only being able to make the short trip to the bathroom. In January, they reduced the dose of the drug in hopes that she might still benefit from the tumor reduction, but maybe have less side effects. It didn’t seem to make a difference and on the first of February, she made the decision to stop taking the drug altogether. There was a lot of wrestling with faith that happened during the four months she lived with us. Glenna is an incredibly optimistic person who believes strongly in the power of visualization. In a text to the family she said, “I am just pouring out my faith and using my sheer determination to get through one set back after another by focusing on the NEXT positive step available to me.” If miracles were granted simply on the basis of belief, there was no one more deserving. I don’t think any of us were hoping for a cure, but we hoped for more quality time. The whole family poured out our hearts to God in the ways we knew how – on our knees, in Rosary, within the walls of the temple – but Glenna just couldn’t catch a break. It was disheartening. The week before Noel went to Alaska, we spoke in church. 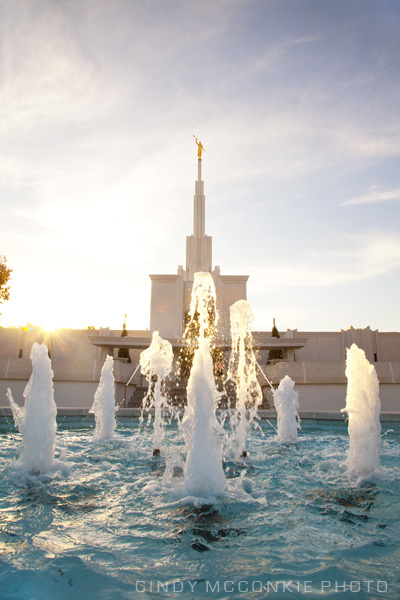 We talked about temples. About their healing power, how they help us catch a glimpse of “the big picture,” bring peace to our lives, and most importantly make it possible for families to be together forever. At that time, I felt completely zen about everything. I just knew everything was going to be okay. But, as we actually stepped into the role of caretakers for Glenna, that peace sometimes became elusive in my daily life. I kept searching for it though and every once in awhile the whisperings of a scripture would come to me. At times it would be words from our church’s Doctrine & Covenants, “Did I not speak peace to your mind concerning the matter?” (6:23) and I would try to remember the initial peace I had felt. Other times the words would come from Galatians, “Let us not be weary in well doing” (6:9). My heart was still heavy, but I was able to keep moving forward and hoping for an eventual peace. Glenna and I spent a lot of time together and sometimes she would open up to me about her fears. Once or twice she mentioned her fear that a miracle wasn’t coming because she lacked faith or was in some way undeserving. I don’t think she thought these things because she actually lacked faith, but because sometimes it’s easier to know a truth when it’s happening to another person than when it’s happening to you. We talked extensively about miracles and I did my best to remind her, with my limited knowledge, that just because you don’t get the miracle you want doesn’t mean there aren’t miracles. Sometimes the miracle is peace in our hearts or the blessing of our family members being okay without us. And of course there is the ultimate miracle of our Savior’s sacrifice that offers the gift of Grace to each of us. These talks were tender and often led to one or both of us crying. Everyone came for Thanksgiving and we were able to take a family photo. Even though we didn’t get the large miracle of healing that was desperately wanted, those four months were sprinkled with many small miracles. Glenna was able to bear her testimony to us a final time. She was able to spend time with the children. They read books, showed her their art, and watched countless episodes of Magic School Bus together. She was miraculously able to attend the children’s primary program. 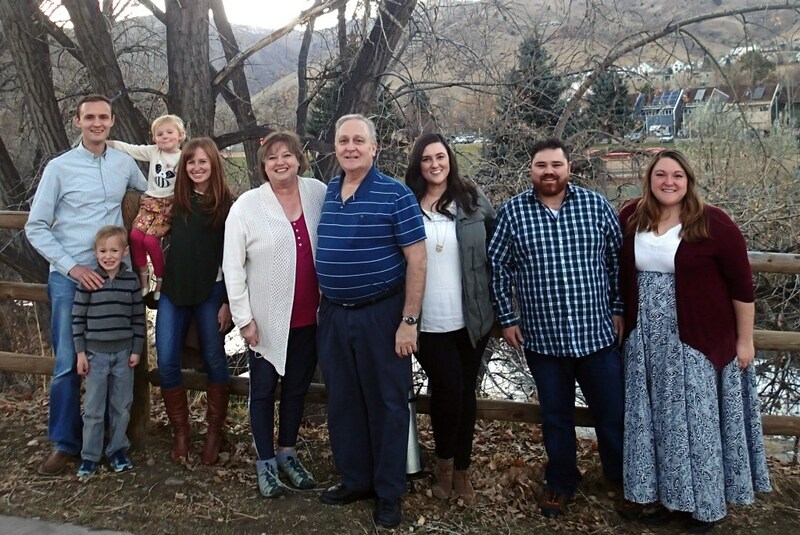 She had a final Thanksgiving with all of her children, which she said made all of it worth it. Both of her sisters and all of her nieces were able to come visit, some of them more than once. Even though we were certain it was going to kill her, she miraculously survived norovirus. (Which would have been such a miserable way to die.) We personally were blessed to have friends and neighbors show up at our door with food. We were fortunate to have multiple friends that were willing to watch our kids on short notice and for long durations. We may not have gotten the big miracle we wanted, but we got a plethora of small ones that carried us through. I can’t say that I understand why Glenna left this life seemingly out of turn or why her final months were riddled with so much pain and struggle. Instead, I’m trusting that God knows best. I’m trying to to let my heart be filled with the peace that only God can offer and focus on the things I do know with surety: That her suffering is over, that she is with her parents and other people she dearly loved, and that someday we will be with her again. I’m glad I know those things and maybe that’s the biggest miracle of all. Bonus: Here are a few talks from LDS sources that spoke to me on the subject of miracles not happening in the way you want or expect. I’m including them in case some reader out there is looking for deeper reading. Audrey I needed to read this tonight. Thank you. I am struggling tonight and miss her but needed to be reminded of the “big picture” of this life. Audrey, your writing is very good. And I’m crying again. Bless you all.